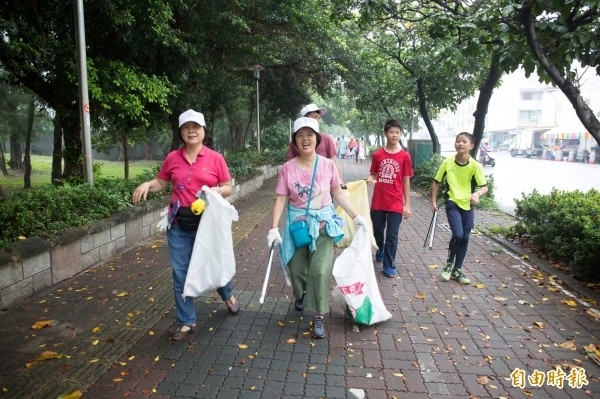 Today, Sep. 15th, is World Cleanup Day, and over 300 volunteers went to Qijin District for beach cleanup. A father took his 4-year-old child to join this event with the intension of instilling the concept of being eco-friendly and loving the earth from childhood. Let’s do it! 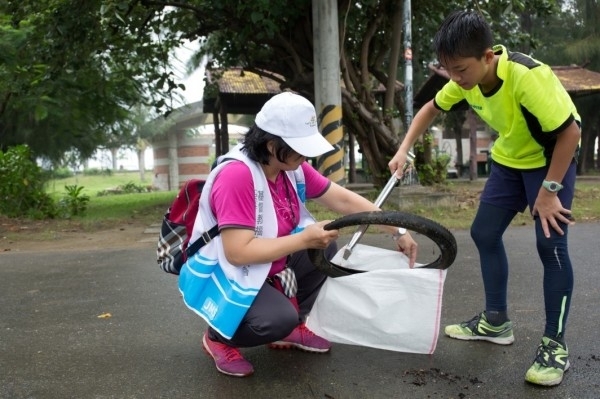 Taiwan (LDI International Volunteer Group), together with Christian Gospel Mission (CGM), Syin-Lu Social Welfare Foundation and Environmental Protection Bureau of Kaohsiung City Government, launched 300 volunteers to go deep into the Qijin community to collect garbage. The event was joined by 150 countries to conduct a 24-hour live streaming, which also includes junior and senior high students, career professionals and disabled individuals. Chin-Hai Wang took his family of four to join the cleanup. He said that there is a lot of garbage which needs to be picked up. Through this activity, he showed his 7-year-old and 4-year-old sons to understand that “everyone is like one body.” The kids should start to care about the environment since they are young, and then help others in the future. A freshman from Kaohsiung Girl’s Senior High School, Shin-Yi Huang, has found numerous bottle caps when removing the leaves. In order to avoid using plastic bags excessively, she reuses the same one again when eating out. She hopes to invite more classmates to participate in eco-friendly activities. Bao-Hong Chen is from Taichung. After watching some internet videos which were displaying people trying to clip a straw out from the turtle’s nostrils a few years ago, he quietly decided to join environmental activities. He said that he usually sees elder volunteers, but his point of view has completely changed this time. He said, "I was surprised to see junior and high school students.” It is very hopeful to have passionate youths participating in this activity. Haoyuan Zheng, the spokesperson of the CGM, said that the CGM’s founder, Jung Myung Seok, regards cleaning up the environment as cleaning the heart; he calls on people to change their minds, and take actions to make the environment clean and tidy.